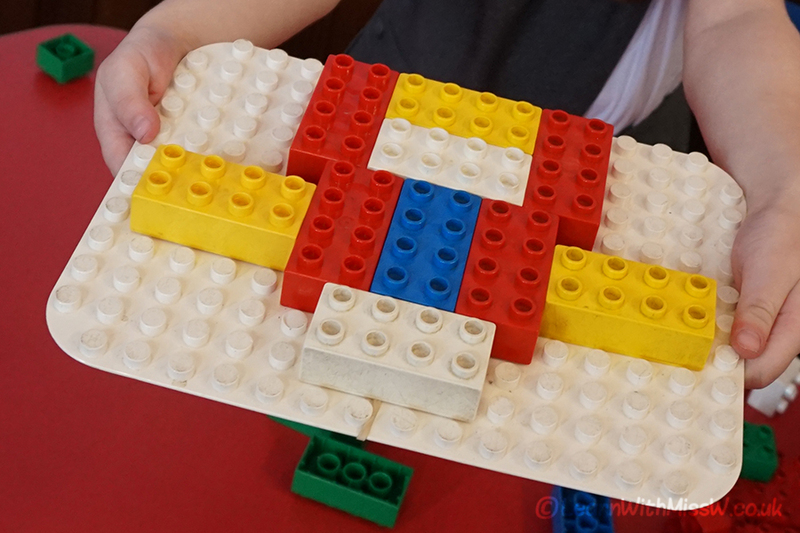 Symmetry in Action: let’s explore with Lego! Sometimes you stumble across a new way to teach a concept and sometimes the children’s abilities far exceed your expectations. I hit the jackpot and got both with this series of symmetry lessons and activities. I try to incorporate experiential active learning and experimentation in my classroom as much as possible. As I was pondering different activities I could ‘print and laminate’ for my learners to do the thought occurred to me that I should ‘just’ improvise with the resources I have in my room. What I came up with was a very open ended, creativity driven, self-differentiating symmetry task requiring lego and some rubber bands. 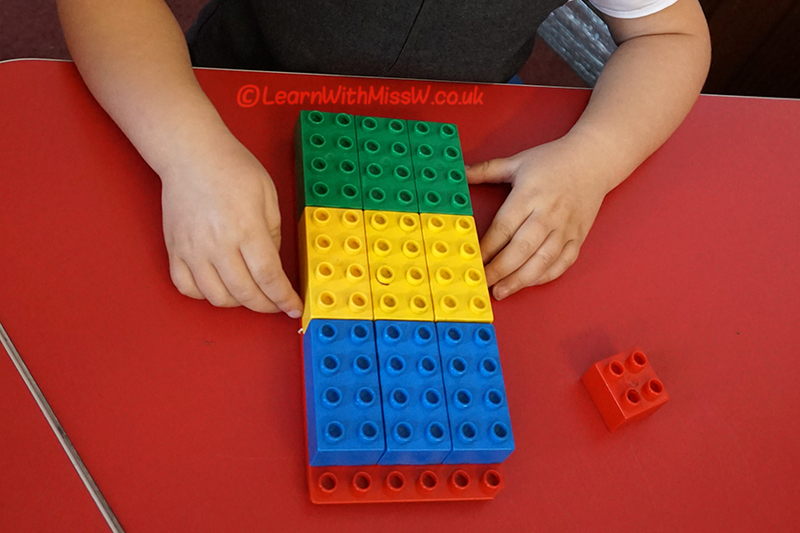 I found enough lego ‘base boards’, lots of the big duplo pieces and I put a large rubber band round the centre to show the line of symmetry. After a quick demonstration of how you could make a simple symmetrical image, I let the children rock and roll. My Primary 1 children, 10 weeks into their school experience, absolutely blew me away with what they were able to achieve. We moved from simple symmetrical stripes and isolated blocks, to complicated images with pieces turned in various directions and even bridging the line of symmetry. I am so glad I gave my students this open ended opportunity to explore symmetry. They have shown so much creativity, ability to visually reason and mathematical understanding. Because this is a basic classroom resource and not a purpose-made laminated game, I’m not precious about losing pieces or the children ‘doing it wrong’. This activity is out with the classroom provision for children to choose to explore at any time and continue with their learning. I’m really excited to see where they will take this next! I have some symmetry activities available for download.